Front-facing cameras have made appearances on high-end smart phones from time to time over the past few years, but they never really caught on. The Apple iPhone 4 and the HTC EVO 4G finally brought mobile video calling to the masses in 2010. Fast forward a year and there are many handsets and tablets with support for this feature, but just about each one seems to ship with a different service. Unfortunately, incompatibilities and limitations create confusion for average consumers who just want a hassle-free experience. Lets take a look at the who is on the right track. As always, Apple makes its solution simple and available on all their latest products. The brand new Apple iPad 2, which now has two cameras, can place and receive FaceTime calls. Those on a computer can grab the FaceTime program for $1 from the new Mac App Store. Of course, the iPhone 4 and the newest iPod touch support video calling as well. 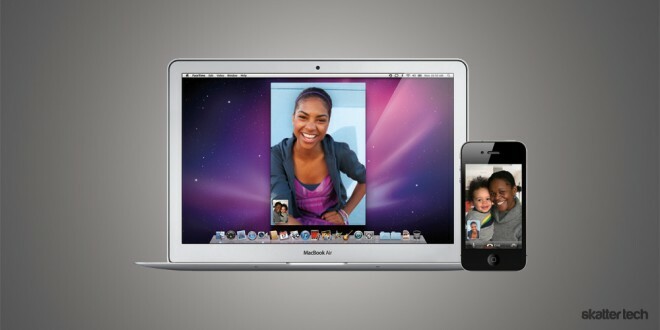 Apple makes it possible to push video to family and friends whether you are on a laptop, tablet, or a mobile device. Unfortunately, FaceTime does come with a major flaw. Users still need to find a WiFi network to enjoy video calls. Even if you have full 3G connectivity, it will not work. This is a major bummer for those who want to chat with loved ones when on the road. In addition, there is no FaceTime client for Windows. Considering that Apple offers iTunes and Safari for Microsoft’s operating system, I hope that this will change soon. Windows still represents approximately 80-90% of the desktop market. This is a great solution for those looking to enjoy video calls with Apple, Android, or Nokia devices. Fring lifts the WiFi restrictions, unlike FaceTime, making it possible to enjoy video calls on 3G and 4G networks too. The company’s latest addition is a group video calling feature which is still in beta. Fring may offer text-based chatting and even affordable VoIP calls, but they lack a desktop client. It is technically a mobile video calling service, but people still spend a large portion of their time on a laptop whether it is Macintosh or Windows. Video calling finally made its way to the Motorola Xoom which runs on the latest Android 3.0 (Honeycomb) operating system. It works on mobile 3G networks in addition to WiFi, which is a plus. It will also run on 4G on capable tablets. While most desktop-based video calling services offer dedicated programs, Google heads to the browser. A small plugin enables voice and video calling from most popular browsers on Windows, Macintosh, and Linux computers. Google Talk even works on the Chrome Notebook. Unfortunately, video calling is notably lacking from Android (2.x) smart phones. Despite the fact that the operating system has been around for some time, there is still no official out of the box solution. Devices such as the Motorola Atrix have front-facing cameras, but carriers partner with 3rd parties to let customers share video with friends and family on the go. Google will likely address this concern at its I/O 2011 conference in May. When it comes to video calls, there is no one better known than Skype. There are over 23 million users online at peak time, which is quite impressive. Of course, there are clients for Windows, Macintosh, and Linux. In addition, the company released video calling support for Apple iOS devices last year which supports both 3G and WiFi networks. Skype even supports Nokia Symbian devices and brings video calls to a handful of premium HDTVs. The company also offers an Android app, but here is where things get confusing. The one available directly in the Android Marketplace only supports voice calls at this time. Skype also struck an exclusive with Verizon Wireless for video calling, which means Android customers with front-facing cameras on other carriers will not have access to this feature. We did test a leaked version on the HTC Thunderbolt earlier this week and it works wonderfully on WiFi and Verizon Wireless 4G LTE. Customers are waiting eagerly and I hope to see Skype fill this gap sooner than later. These guys are the most recent newcomer to the game with a debut in just September 2010. Despite the late entrance, the company already offers mobile video calling over 3G, 4G, and WiFi on Android and iOS smart phones. The app hit one million downloads just 10 days after launch proving that customers want the freedom to make calls on any type of network and to any type of device. Tango notes that they offer support for even the iPod touch. Recent updates ensure compatibility with the Apple iPad 2 and the Motorola Xoom, but the app still lacks an optimized tablet interface. The largest selling point is the registration-free configuration process. Once you install the app, Tango populates a contact list of all the friends in your address book who can receive video calls. The downfall might just be a lack of a desktop client. Although they excel on the mobile front, I can only expect better adoption rates with Windows and Macintosh programs. Although this company was mainly known for their live streaming technology, they debuted an exclusive video calling service with Sprint for the HTC EVO 4G last year. Since then, Qik has worked with carriers to bring their solution to several smart phones and tablets. At SxSW 2011, the company released an app for iOS devices: the iPad 2, iPhone 4, and iPod touch. The Samsung Epic 4G and the Galaxy Tab also feature the service. A handful of Android-powered T-Mobile handsets and the Motorola Atrix for AT&T also sports Qik out of the box. The app runs on 3G, 4G, and WiFi networks for true freedom. Even the Samsung Galaxy Player will include Qik support later this year. Unfortunately, the Qik app in the Android Marketplace does not offer video calling support. It only works on Android devices from carriers who have partnered with the company. 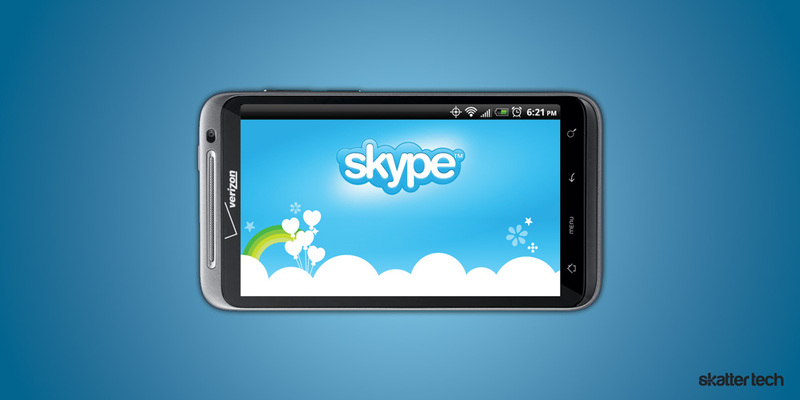 At CES 2011, Skype announced that they would acquire Qik. A few months have passed with little to no news about the assimilation. To date, both companies offer their own independent video calling services. I am hoping to see the line between these two erased enabling compatibility with one another. Since Qik lacks a desktop client, pairing it with Skype might just solve the problem. 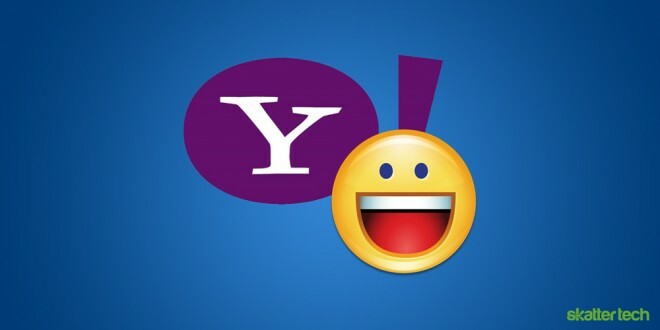 For those too young to remember, Yahoo! Messenger has been around since 1998. While it definitely did not have video calling back in the days of dial-up, it is finally bringing the feature to mobile devices. A release late last year the company launched an iOS app with support for both video and voice calls. Their app does run on 3G, but Yahoo recommends a WiFi network. For those wondering, expect full compatibility with the newest iPod touch and the iPhone 4. A client for Android has been available for sometime, but it does not yet support video calling. Geeky users can download a beta add-on to enable this feature on devices that have a front-facing camera. Unfortunately, this is not yet a stable release and Yahoo has yet to officially announce video calling for Android. With a well-established user base, Yahoo could become an ideal all-around solution once they address Android and offer some support for tablets. In my opinion, FaceTime has the best experience but it has many drawbacks such as a WiFi-only restriction. Skype is the most promising and video quality is quite phenomenal, but their exclusives with carriers are quite worrisome. I also find it quite sad that Google does not offer a solution for their own flagship Android platform. Tango is a personal favorite due to its ease of use, but a desktop client would make it even more awesome. At this point, you are probably exhausted. There are too many choices and none offer a perfect experience. Many are getting close, but the oddities and limitations across the board are quite disappointing. So here is the big question, which service do you use and why? Also, please feel free to let us know if we missed any other notable alternatives. Tango normally works the best for me and supports the latest devices. I’d still like to see Skype on every carrier and I can’t wait till Google brings video to everyone. I’m looking forward to the Google Talk video chat app for android and iOS. The desktop /honeycomb app is awesome. Skype is also likely gonna end up bringing the best option. Whichever one it is…it needs to give access to iOS, android,PC, and apple computers. See also ooVoo.com – seems promising. Yeah, I’m just not excited about video chat. I’m normally very into tech / geek stuff, but can’t think of anyone I’d like to video chat with. My wife, maybe, but we’re not apart very much outside of work. I want at least the same video audio quality I get from Skype on wifi laptop, but on my Epics. I can video chat all over the world from one computer to another, but two Epic phones on wifi or 4g have video that freezes, audio that echos, and connections that don’t connect or drop calls. Have tried qik, fring, and currently tango which seems to also have sever problems. Anyone using Sprint having positive mobile video experience?